April 2012. Why would scientists select a small marsh minnow to help them understand the impacts of the Deepwater Horizon oil spill? For starters, the Gulf killifish (Fundulus grandis) is a marsh-dependent, easy to catch, abundant fish that ranges across the Gulf of Mexico basin. These fish are small enough to handle easily but big enough for conducting tissue studies. An important characteristic about killifish is they do not move around much (their populations remain largely separated). This means that killifish in Mississippi marshes do not routinely mix with killifish in Louisiana’s Barataria Bay – they have not travelled long distances or through other waters. Therefore, scientists can work from the assumption that if an area was exposed to oil, then so have the killifish that were captured from those oiled areas. As an added benefit, scientists at the Virginia Institute of Marine Science have been studying the effects of oil on a closely-related species, the mummichog (Fundulus heteroclitus), which lives along the Atlantic coast. The killifish connection with mummichog offers the opportunity to draw on existing research and the potential for Gulf oil research to have implications for other places. All these factors contribute to scientists’ strategic selection of killifish as a model organism in marine science based on their biological attributes and distribution in nature. 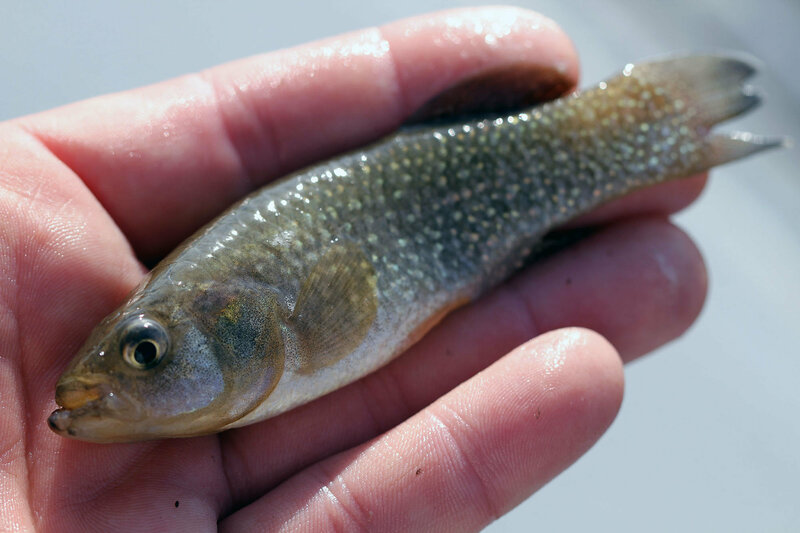 The Gulf of Mexico Research Initiative (GOMRI) has funded five projects that involve killifish in their studies – three immediately after the oil spill and two follow-up a year later.